Geranium x oxonianum 'Spring Fling' . This ridiculous flamboyant plant bursts into technicolor lushness in spring, like a gardener with a hangover who wakes up and vomits in the border. I can never make up my mind whether I like it or hate it. I guess it depends how much I have to look at it. 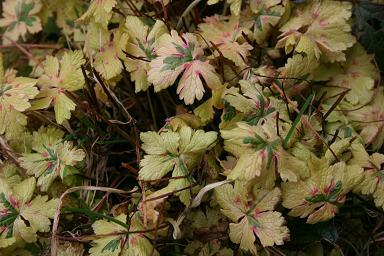 As the season progresses ther colour fades to green, and it becomes a standard rather tedious pink flowered Geranium x oxonianum. I still can't make up my mind if I like it or hate it, but it is so dull during summer that it hardly matters. It has Plant Breeders Rights applied to it, propagation prohibited without permission, and that has prevented it being more widely distributed. PBR work very well for plants with potential mass sales, but for plants with marginal appeal they tend to act as a nail in their coffin. I can't believe that anybody but the lawyers have ever made any money out of this one! I have only just obtained this from Bob Brown at Cotswold Garden Flowers, so it has barely had time to root down into the pot, but it has produced a flower and it seemed worth recording. In the Online Flora of China it is listed as Aspidistra zongbayi. I haven't had time to check out how well it fits the description, but the foliage is slightly different fromm anything else I grow. Aspidistra flowers tend to be overlooked - I can't think why! 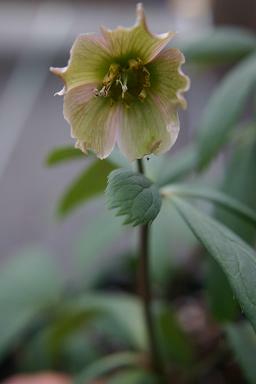 Helleborus thibetanus Pale Green Flower . This plant came from China bearing the Pale Green description, but the flower was typically pink when it opened. 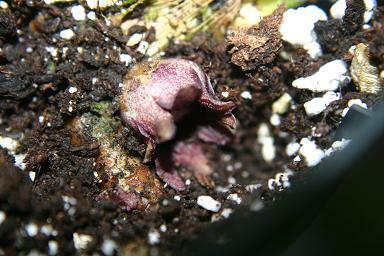 As the flower has aged, it has developed green colour along the centre of the tepals. 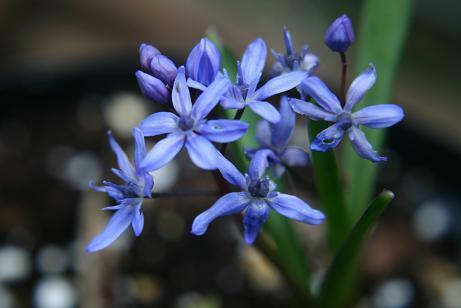 In the summer I hide all of the pots of the spring flowering bulbs behind the shade tunnel, so there was a burst of joy associated with finding Scilla bifolia in full flower un-noticed. It was barely in growth two weeks ago when I moved the rest of the bulbs up to the side of the house where I could enjoy them. A vigorous, possibly even weedy species that has bright enough flowers to be forgiven its occasional seeding excesses.